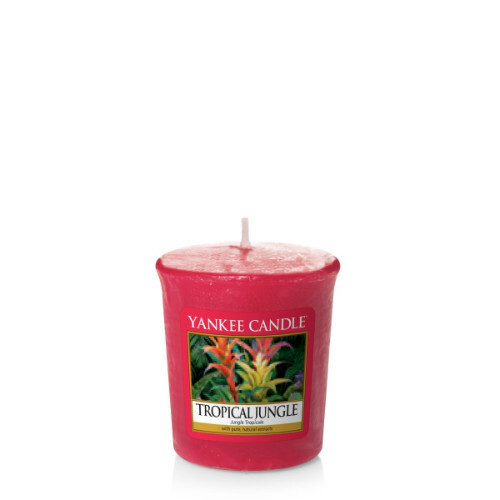 A sweet, lush mix of tropical fruits, tropical flowers and green jungle leaf. Perfect for fragrance layering and sampling new scents, our Samplers® votive candles offer lots of decorative possibilities when used with one of our many votive holders. Sold individually, each one comes wrapped and labelled. Each provides up to 15 hours of fragrance.